Intermediate to Senior Level Software Engineer. Apply Today! Excellent Pay and Benefits! Intermediate to Senior Software Engineer, development, and delivery of software applications. Must have practical experience with modern programming languages C, C++, Java, XML, C#. Programming experience MS Windows MFC, .NET framework, SQL. Strong programming skills, experience with Object-Oriented Programming and Design (OOP/OOD), refactoring, and design patterns. 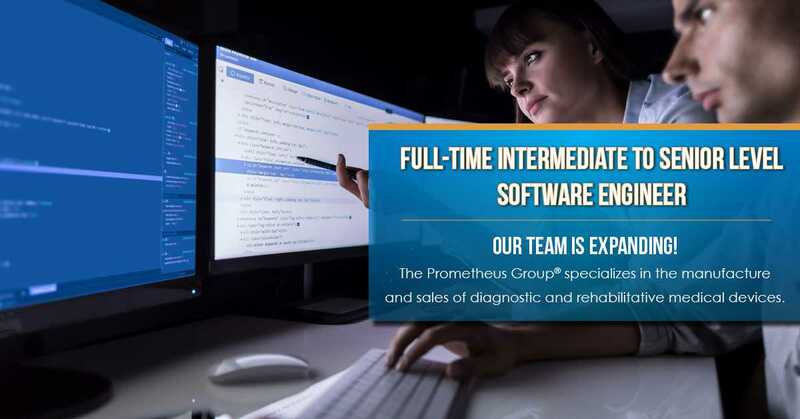 Demonstrated skills in planning, designing, and implementing from software requirement specifications. Strong work ethic and entrepreneurial drive. Hands on knowledge of C++ and/or C# programming (full-time experience, or course work, or internship). 3+ years of full-time work experience in a software development environment. Strong knowledge of object-oriented programming design and concepts. Strong knowledge of relational database design and querying concepts. Excellent communication, documentation, and interpersonal skills. Ardent desire to learn new tools and development processes swiftly and independently. Ability to quickly learn new concepts and software procedure. Bachelor’s Degree, Master’s Degree or Doctorate a plus in Computer Science or related field. 5+ years of additional relevant experience may be substituted for education. Relevant certifications or practical training a plus. Candidate must live within a 30/45-minute commute to Dover, NH.